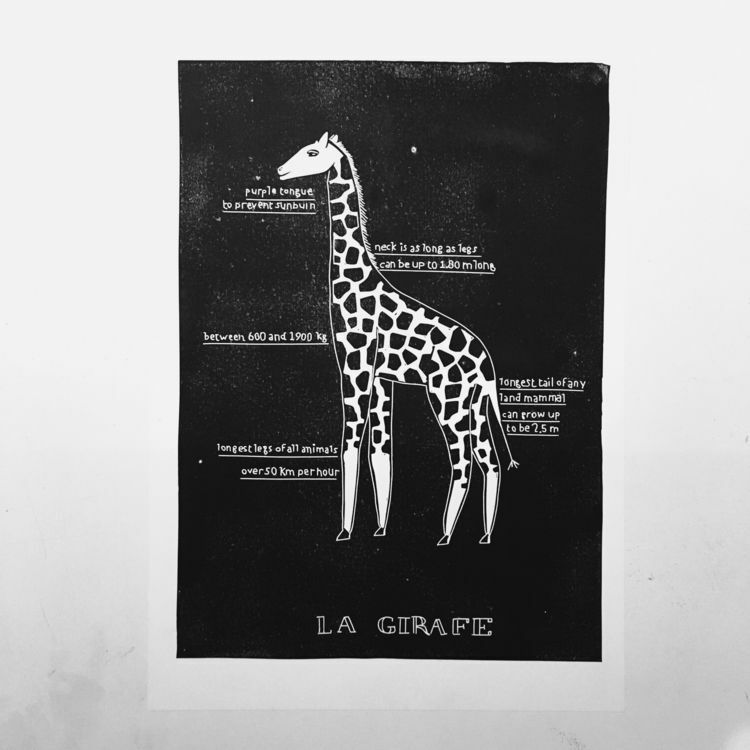 One of the two giraffe prints I made for a customer. I had total freedom to make whatever I wanted with the theme giraffe. A very challenging project with text and a lot of black which is tricky to print.